I love those Italian cooking shows on TV. All of them, from the food network to PBS. Although sometimes it’s kinda hard to convince myself to try a recipe out especially when it calls for some fish that only swims in the coast of Venezia. Gnocchi is nothing like that, in fact. But still, if you’re not Italian, how often do you prepare it? Probably not as much as you do spaghetti. Me? I’ve never had it before. So, I thought, why not give it a shot. To my surprise, it was so good I didn’t miss the pasta at all. Now, I try to have it more often. This one’s my first try. Nothing fancy, just the basics. Directions: Cook gnocchi. Grill mushrooms. 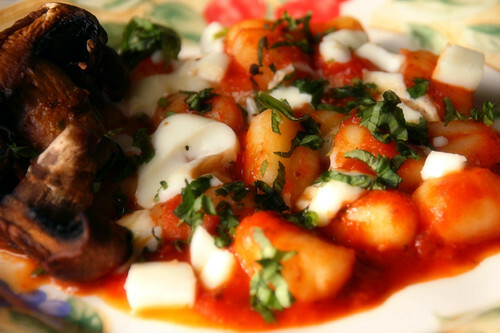 Heat marinara sauce.. Place gnocchi on a plate and pour sauce on top. 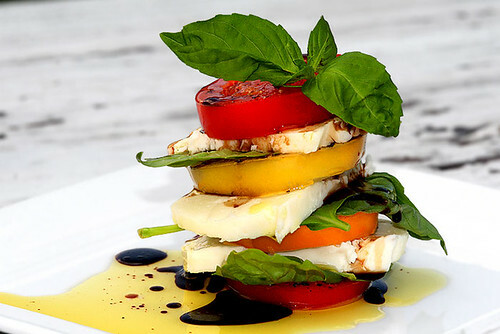 Scatter diced mozzarella on top of warm sauce and allow to melt. 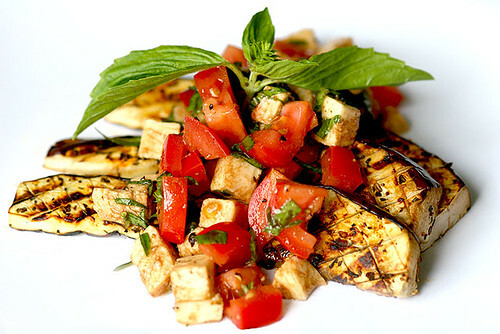 Garnish with chopped basil and grilled mushrooms.